What is a fireplace chimney liner? 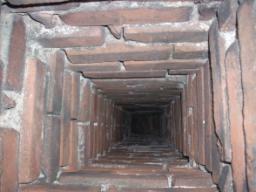 A fireplace chimney liner is your first line of defense against a chimney fire. It is a protective fireproof material within the chimney flue (the passageway for the smoke and fumes) that keeps the heat and smoke within the flue and prevents the spread of fire in the case of a chimney fire. The National Fire Protection Association standards (which building codes are based upon) requires that all masonry chimneys have a lining that would be the equivalent protection of 5/8” thick fireclay. Prior to the mid 1930s, most homes in the Denver area didn’t have any real flue lining. They would crudely coat the inside of the flue with mortar as they built up the chimney. Now, nearly a century later that mortar has turned back to sand and washed out. These unlined flues don’t meet modern safety standards. Since the 1930s terracotta clay tile liners have been used throughout the city. However, clay liners can become cracked by the settling of the house or due a chimney fire. Even a hairline crack can expand greatly when hot and allow a fire to enter the home. 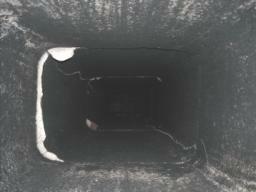 If there is not an adequate chimney liner, fumes and fire can spread into the house. 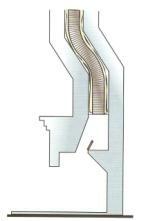 What is the solution to fireplace chimney liner problems? Sometimes it is possible to tear out and replace cracked/broken clay flue liners. 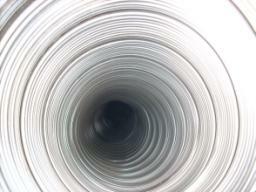 However, in most cases, the best solution is to install a metal chimney liner. We use liners that are made from a stainless steel alloy that are specifically designed for use with wood burning stoves and fireplaces and carry a lifetime warranty. Call Chimney Jack today for a free chimney liner inspection!